Making her first earrings from painted ping-pong balls for her school friends in the '70's, Wendy then had experience with textile printing which she taught at Macquarie Uni and for the Ceramics Association but was always drawn back to jewellery making. She has worked for two artist ceramic workshops and for a multi-media sculptor for 26 years which has formed a fascination for many materials and methods. Making theatre props for 40yrs. has also added to this skill base. 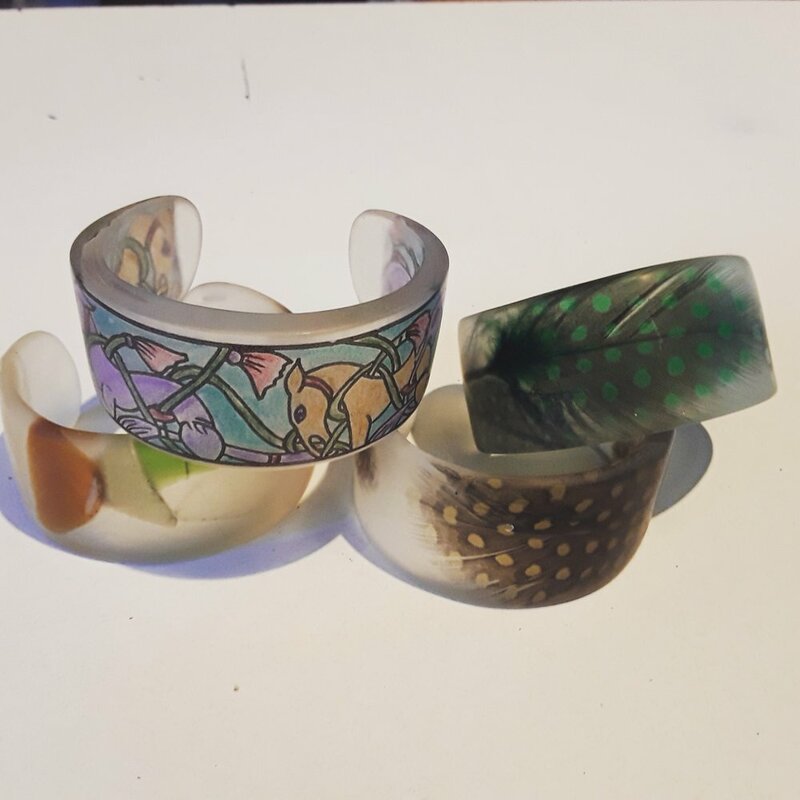 Wendy has done silver and alternative jewellery courses at university and locally, and participated in dozens of markets and craft shows as well as having pieces in gift shops and fashion outlets throughout NSW. Fie years at the Rock's market and Australian craft show has also taken her work both interstate and overseas. For the last eight years, Wendy has worked with a large craft store chain which means a constant temptation to try new products which she brings to her work.